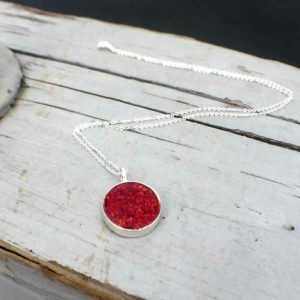 Or the necklace in silver? 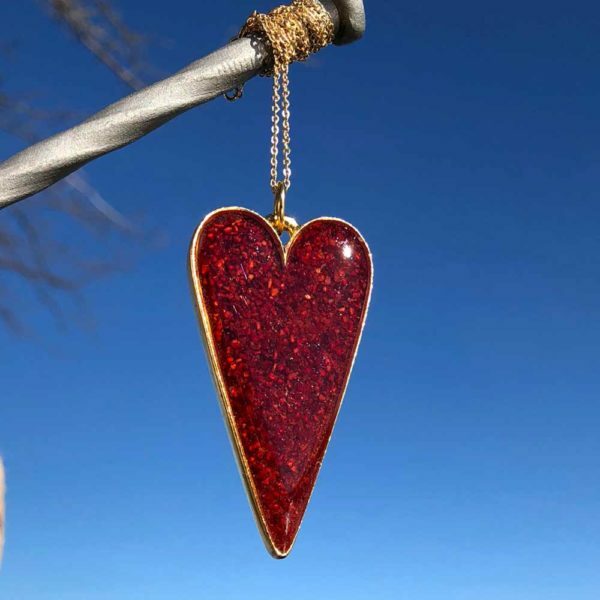 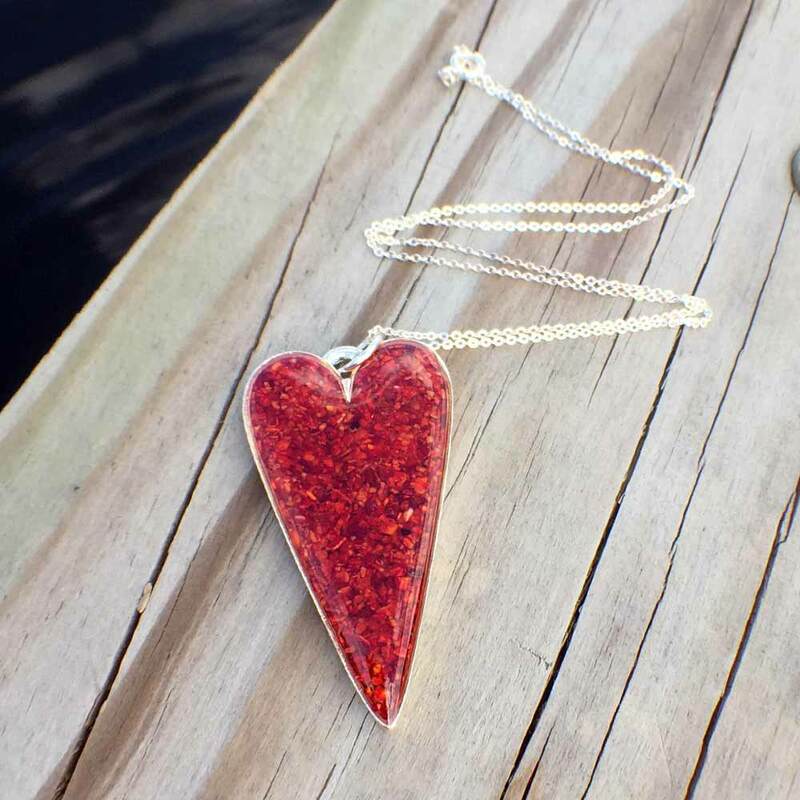 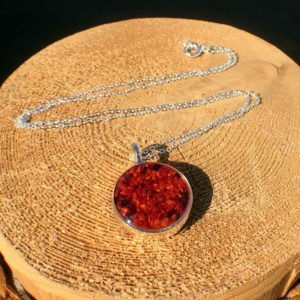 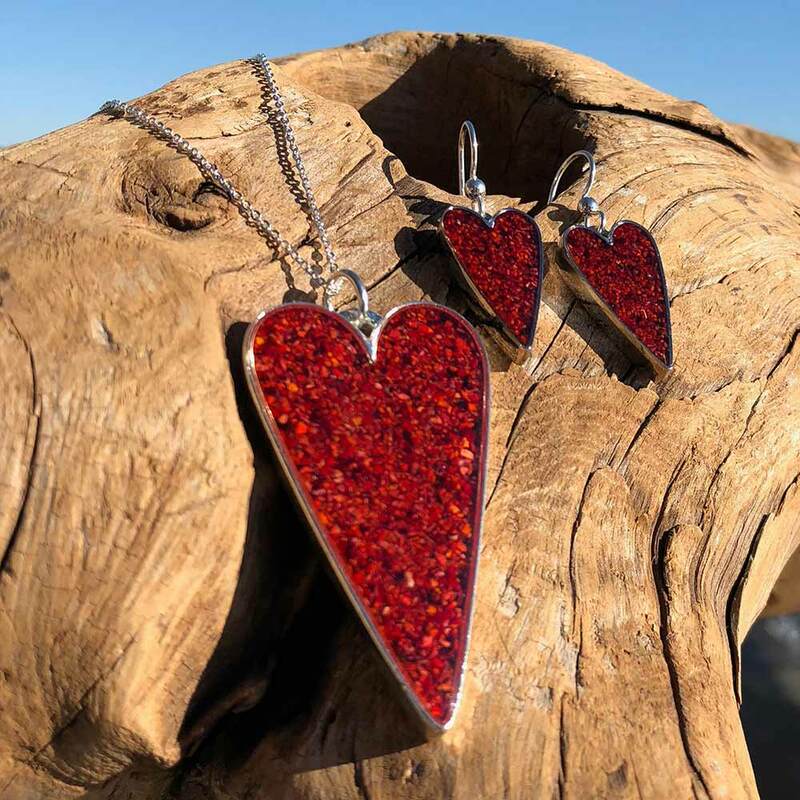 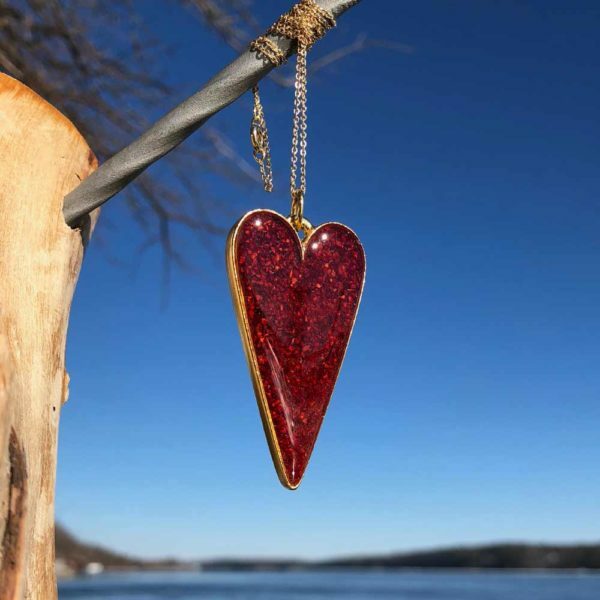 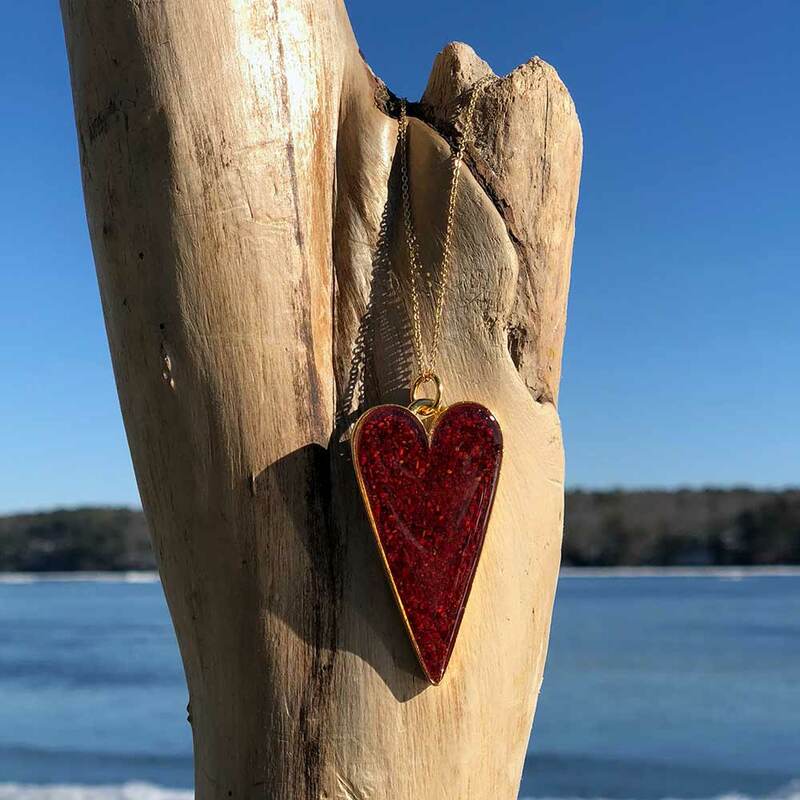 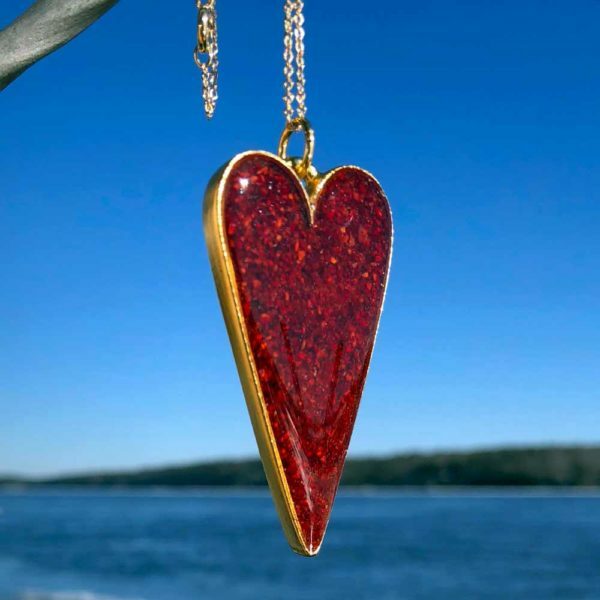 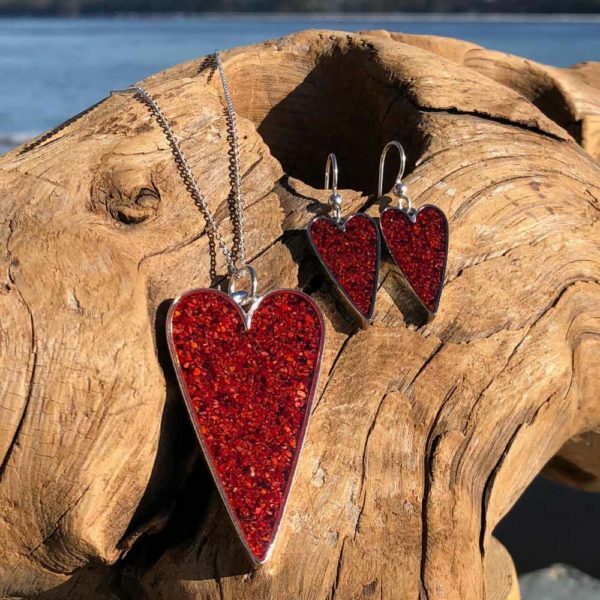 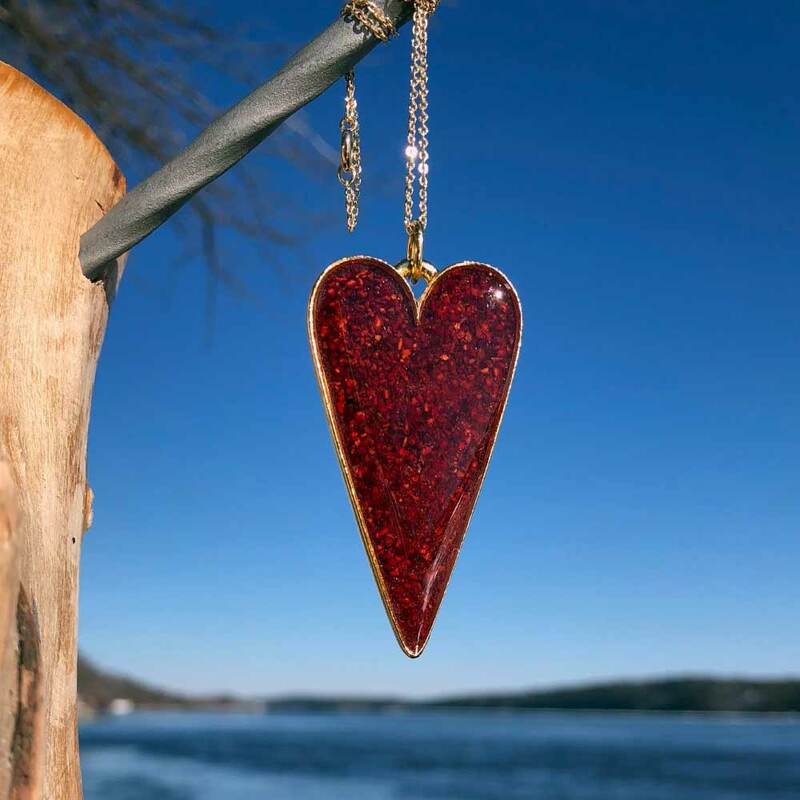 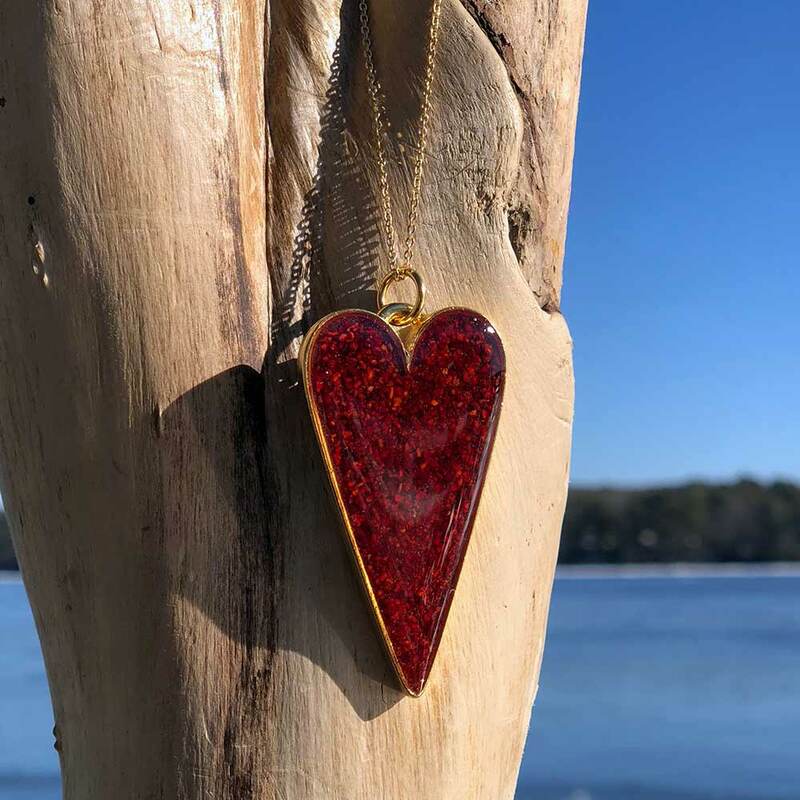 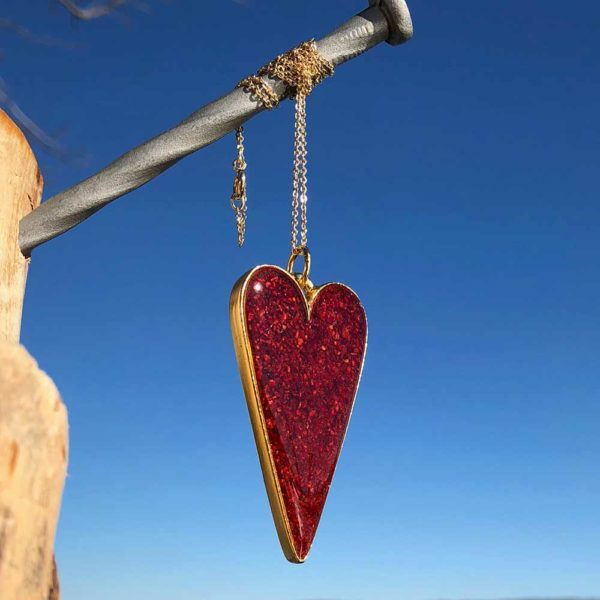 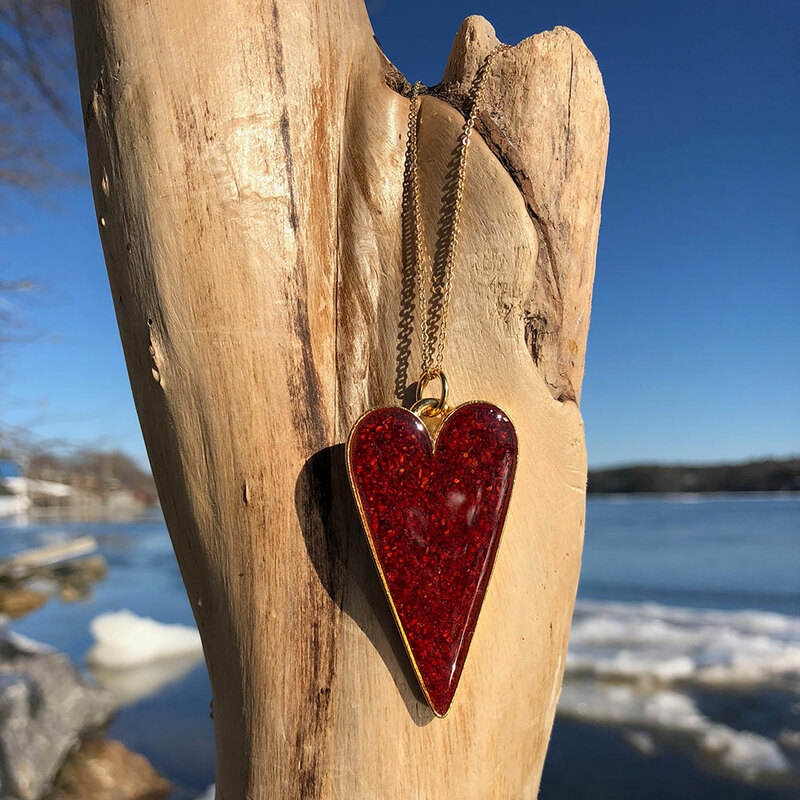 The Crushed Lobster Shell Heart Necklace is made by Tenley, a jewelry designer and creator who uses resourced shells from local fishermen in her community as the focus of her jewelry. 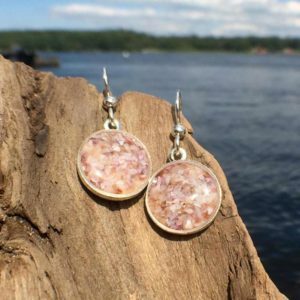 Her lobster shells primarily come from the lobstermen in her family; her son, J. Seiders and her 10 year old son, E. Seiders. 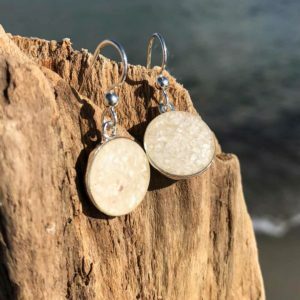 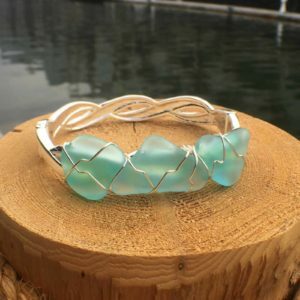 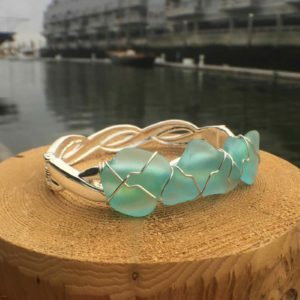 Her oyster shells and mussel shells come from local coves and rivers in the South Bristol area.